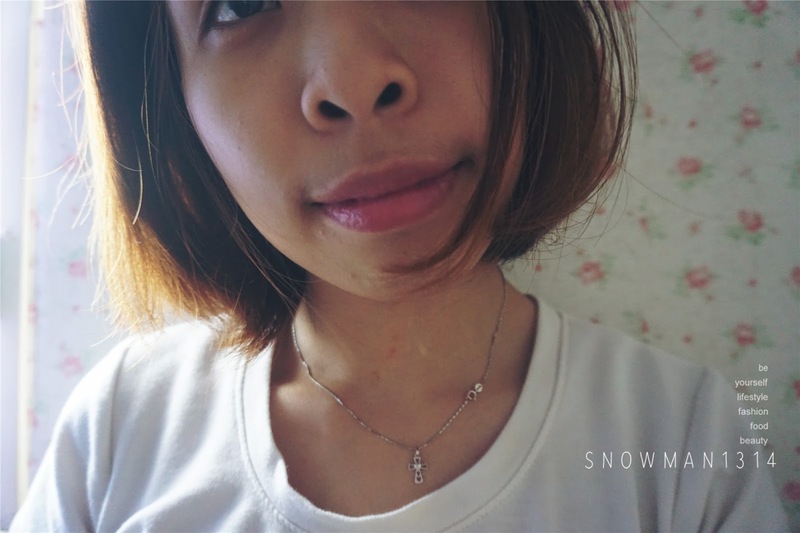 Yeah finally a beauty post in my blog, this time I will talk about a daily use product of every girl. Lipstick or lipbalm is like a everyday use product for a girl. 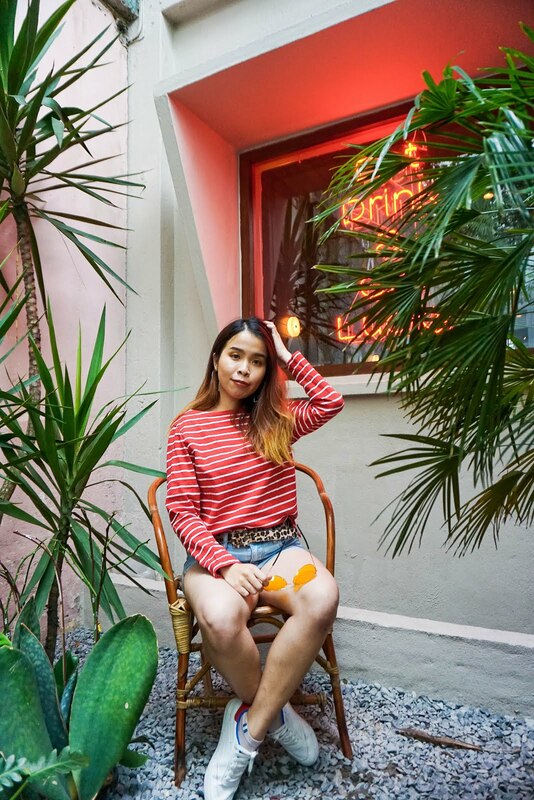 Even you are going for a daily casual date out or going for work. Lipstick can give you a very good impression when you are going out meeting customer or even friends. 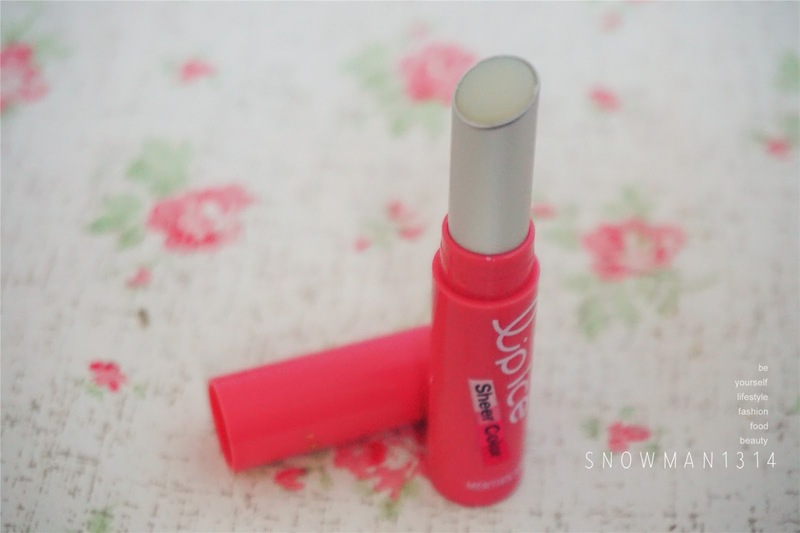 It just give your daily look a lift up energy and provide the moisture that your lip needed too. In the markets now you can find a lot of lipstick or even lip balm that you like, but LipIce being the No. 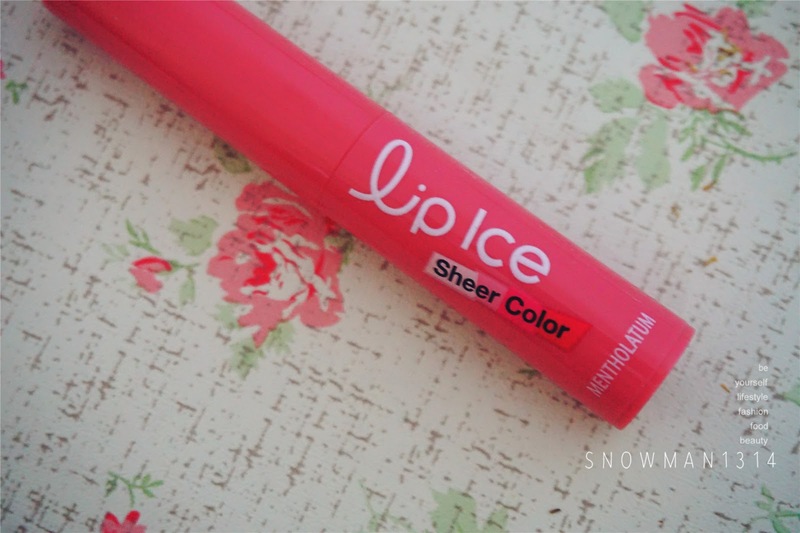 1 lip care brand in Malaysia introduced the newly upgraded LipIce Sheer Colour. Designed to work like magic on the lips, the color changeable lip balm glides on clear when it is first applied on the lips. In just a few seconds, your lip colour changes to a natural sheer pink unique to the individual that enhances the beauty of your lips. How convenient is it! I always suffer dry lips with the weather in Malaysia and even when we are staying indoor the aircond will always makes our lips dry and crack. 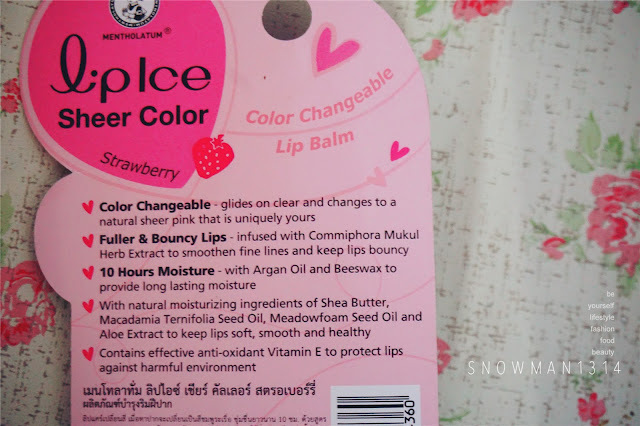 But now using this Lip Ice Sheer Color with the upgraded Beeswax and Argan Oil Fomula, it's actually can provides 10 hours moisturizing properties and it also helps to brighten my dull lips to reveal healthy, pink lips. 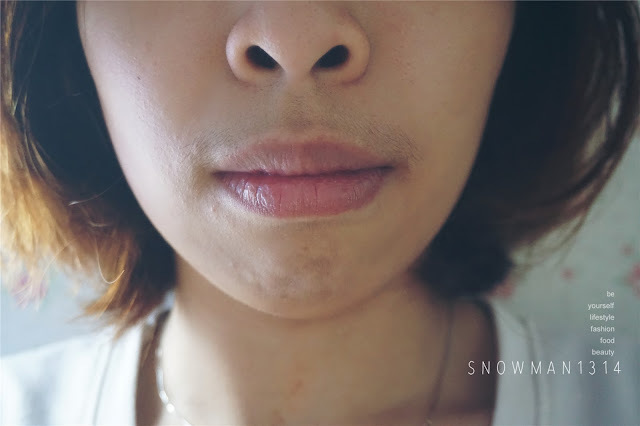 Now, with just one swipe of the lip balm, everyone can have fuller and bouncy lips. How cool was that! Apart from that, the LipIce Sheer Colour is also infused with Commiphora Mukul Herb Extract to smoothen fine lines and keep the lips bouncy. 3 Main Benefits you will see after you apply this LipIce Sheer Color Lip Balm. Your lip color will change to a natural sheer pink that is uniquely yours. You will get a Fuller & Bouncer Lips because it was infused with Commiphora Mukul Herb Extract to smoothen fine lines and keep your lips bouncy whole day. Moisture is every girl needed, they give you 10 Hours Moisture that contains with Argan Oil and Beeswax to provide long lasting moisture for your lips. 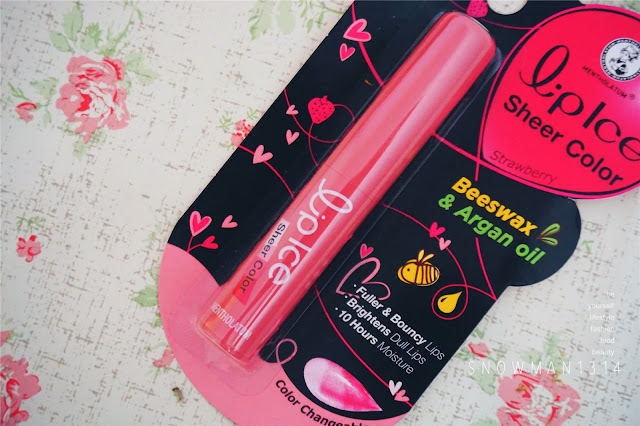 The LipIce Sheer Color also contains natural moisturizing ingredients of Shea Butter, Macadamia Ternifolia Seed Oil, Meadowfoam Seed Oil and Aloe Extract to keep lips soft, smooth and healthy. Furthermore it contains effective anti-oxidant Vitamin E to protect the lips against the harsh environment. I got this Strawberry taste LipIce Sheer Color Lip Balm which I love it alot because of the flavor and smell of strawberry. I even wanted to taste it after I apply this Lip Balm on my lips. So tempted with the super nice sweet smell of the Strawberry in this Lip Balm. Color is same as normal Lip Balm Color. 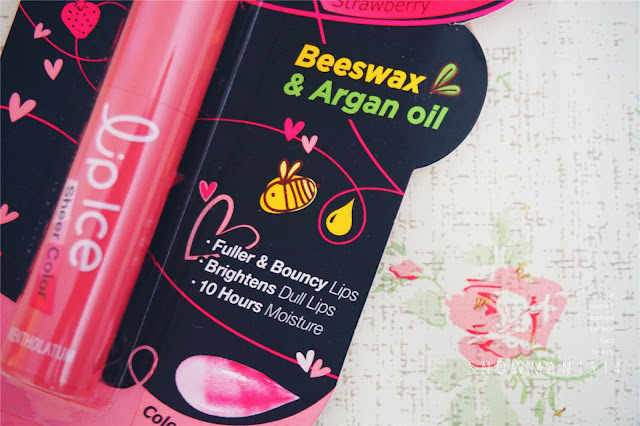 The texture is very soft, not too oily but enough to give the moisture that our lips needed. Before putting any Lip Balm. Urgh please ignore my dry lips. Start to applying the Lip Balm. Wola, you can see that my lips instant got the moisture and glossy in the same time. 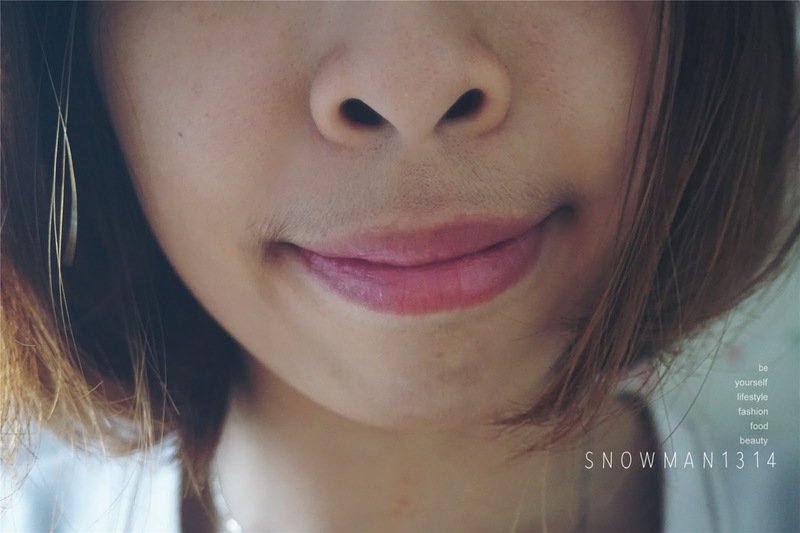 My lips turns to a really natural sheer pink color as well, makes my lips color looks more natural and kissable too! Opps under darker room light. 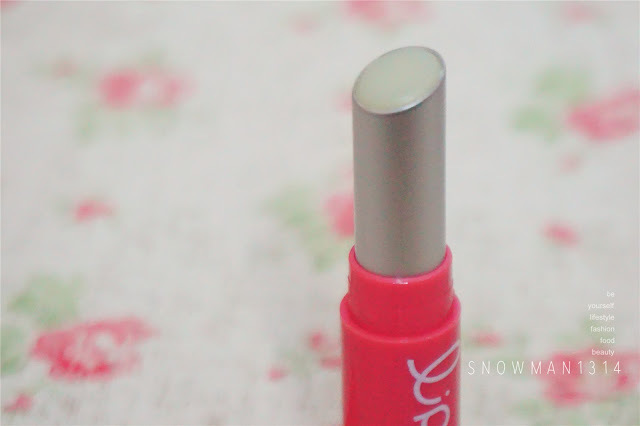 Still not stopping me loving this LipIce Sheer Color Lip Balm. I did bought a Shimmer version Lip Balm before. But I think I have more preferable on this Strawberry one, love the sweet taste on my lips. I have no longer worry about how to avoid dry, crack and dull lips when I was heading out with friends or to work now. Because I have LipIce Sheer Color to give me long lasting moisture lips, natural pink color lips and healthy lips! To represent its total LipIce range, LipIce has signed on Korean singer and actress Kim Jae-Kyung as its brand ambassador. Kim Jae-Kyung, who began her career in 2008, is best known as the leader, lead vocalist and main dancer of A-list K-Pop group Rainbow. She has also had roles in several Korean dramas including her major lead role in Monster in 2012. Her latest drama role is in the classical music variety show Always Cantare 2 where she plays a flute player. Lastly, they have total 3 different variants. Beside the Strawberry, they have Fragrance Free and Shimmer Lip Balm as well. The price will be at RM 15.80 each, it will be available at all leading pharmacies and major supermarket outlets starting March 2016. Seems like a great gift for my female friends ! I love this lipice series so much and use it everyday ~ The colour is so nice and moisture my dry lips. Yes me too =D It my daily lipbalm now! your lips do look great after applying lipice! seems like a great product! Still contemplating whether I should give this a try or not..because I did have a not really pleasant experience using their products like many years back... :( but it surely looks good on you! I owe one of the lipice and I love the glossy and pink color. wow!!! after applied the lipbalm, really can see the effect!!! I want to try it!! I am using Lipice lip balm too and love the natural colour. It protect my lips too. it really makes a difference.. so pink and fuller lips! I love Lipice! They are always so cute! Lip Ice is really good. Your lips look pink and fuller. How long does it last? Almost 3 - 4 hours until Iam having lunch at work! I like this lip balm too, its decent and affordable. Worth to try. I hope i can find it in Indonesia!